This incense is handmade following a strict formula found in an ancient traditional text. The principal ingredient is sandalwood that is combined with a variety of other medicinal herbs found in the Himalayan region. It is particularly used during spiritual ceremonies and meditation sessions to purify the environment and create a peaceful and calm atmosphere. 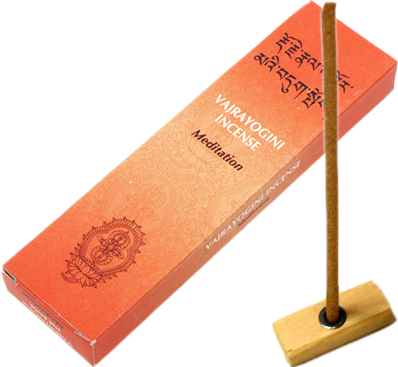 Vajrayogini Incense uses no bamboo core, contains natural ingredients, is non-toxic and hand rolled in accordance with traditional Tibetan methods.